I was so excited about getting my issue this month! Waking up on Saturday morning, I saw loads of tweets about Zoe's cover and Amy Valentine's appearance but had to wait until 2:30pm until my postman arrived. I certainly had high hopes! Just look at this glorious cover! 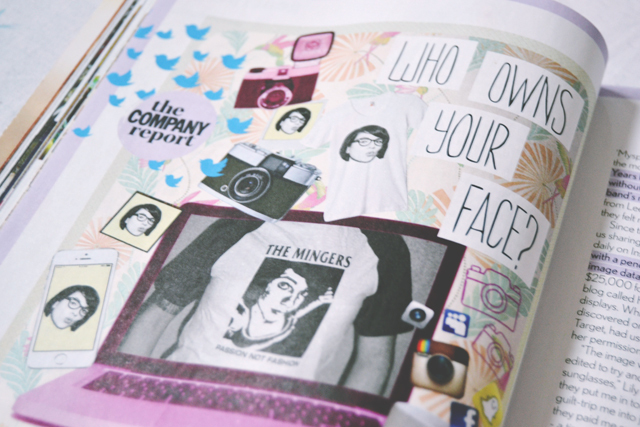 It's so lovely to see Zoe getting such huge recognition, and there's Amy Valentine's funky little face in the corner too! 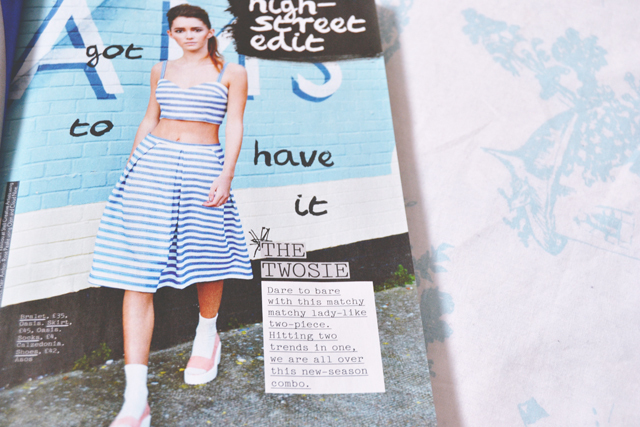 I love this blue striped outfit! Not one for me but it's nice to look at! 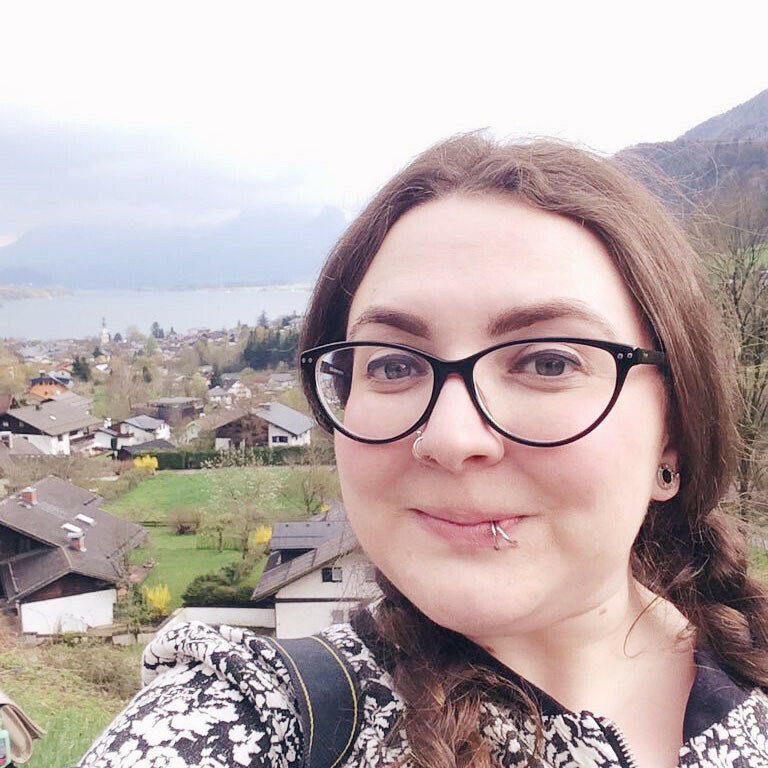 I've been following Amy's blog for a while, and I love the way her personality shows in this feature. This article on the widening use of photo theft really made me think. I have to admit, I don't really think about where my photos end up, but what can you do to stop it really? Boris! Boris is in Company! It was impossible not to read the interview in his voice! Zoe's interview is cute. I expect a bit more from it but it was sweet nonetheless. 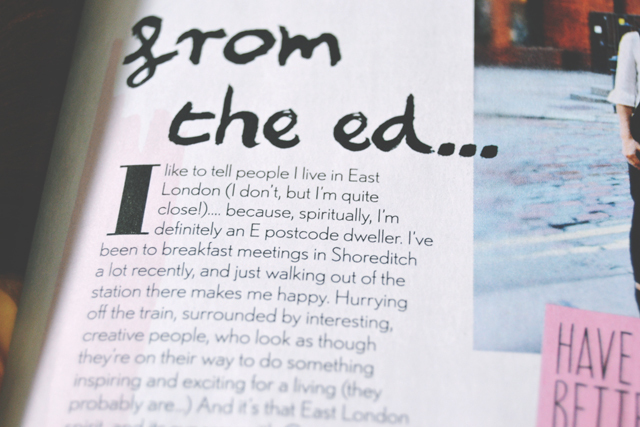 "I like to tell people I live in East London (I don't, but I'm quite close! )...because" I think it makes me sound so hip and edgy. Eeurgh, this song instantly springs to mind! I have a bit of a chip on my shoulder about this sort of thing! I like the whole concept of celebrating East London, but why didn't they choose more bloggers from East London, rather than just popping them down on the streets of Shoreditch? Case in point: Amy is from Reading, not Dalston! Jameela's columns are always a bit hit-and-miss for me. 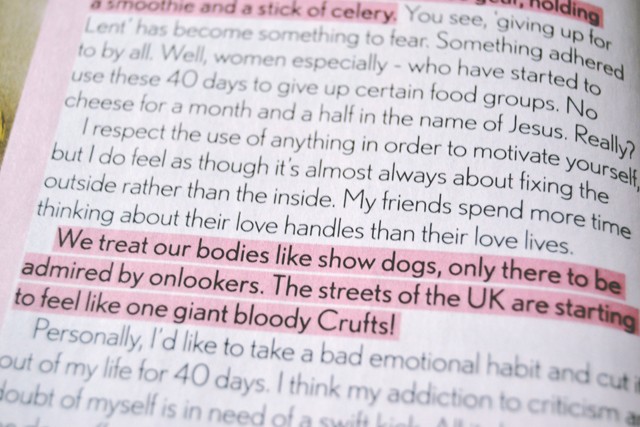 This one rues the fact that her "friends spend more time thinking about their love handles than their love lives". Because clearly men are the only thing you should be worrying about in life! 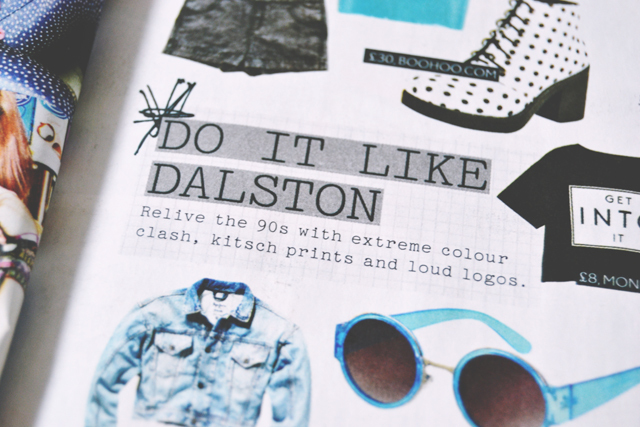 "If you want to fully embrace East London style, you need to sport a ring in your nose". 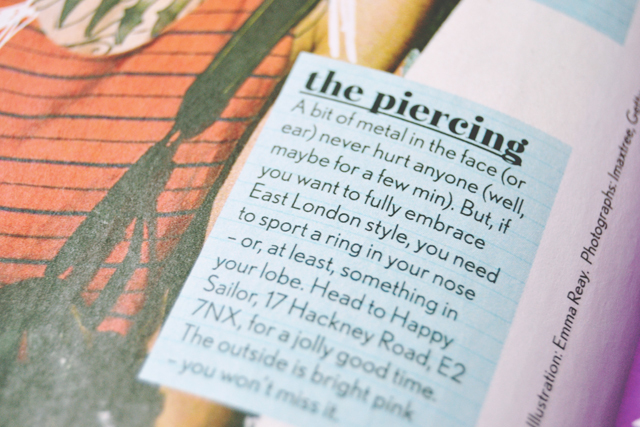 Yes, because that's the best reason to get pierced: To fit in with the East End hipsters. 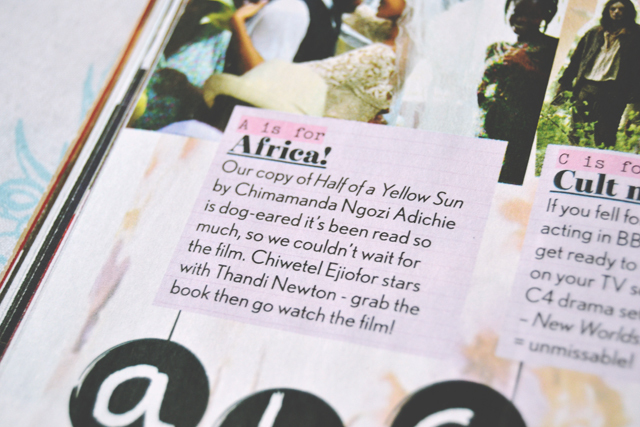 "Our copy of Half of a Yellow Sun by Chimamanda Ngozi Adichie is dog-eared it's been read so much". 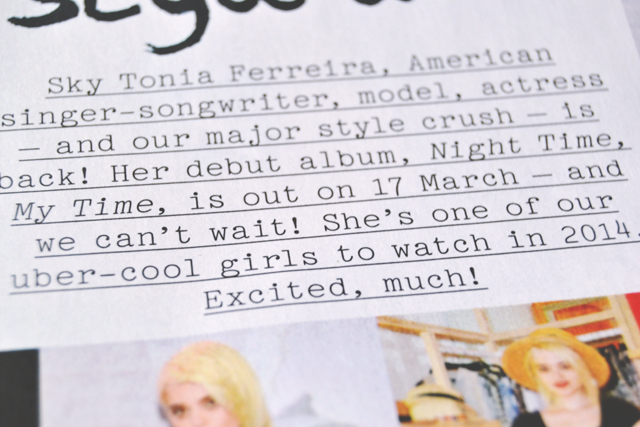 "Plus, the band was on the GIRLs soundtrack, just another reason to join their fan club!" What's punctuation again? It's "grimy". This is 7 year old level work. I just set year 3 spellings based around the rule for removing the final "e" in a noun when you add a "y" suffix to make an adjective. Think about it: Spiky, juicy, tasty. Seriously, that dictionary I mentioned last month? Buy it! Selective colour? Really? Is this 2004? I haven't done that since I was in my AS year of graphic design. Haha cringed out! That's how I feel every time I read it! Becky, I think you need to just go and make your own magazine. It's the only way! I once started an online one but I couldn't be bothered in the end haha! 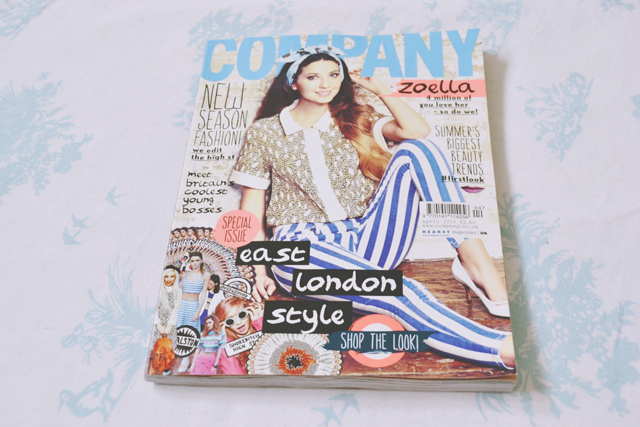 I brought this to, I NEVER buy company, but I really do love Zoella. I completely agree with you point about the "Note from the Ed"... It doesn't send a good message does it? Also, I think Zoella is absolutely drop dead gorgeous, but these photo's have been a bit to heavily edited and sort of don't look like her? The editor is the main problem with the magazine, I think. They really need a new one! I agree with what you said about the photos. I can't believe this was your first Company experience! Do you understand my feelings on it then? I laughed so much at this! I love your "Becky reads Company" series but I appreciated this edition so much more because I actually got round to buying it this month! 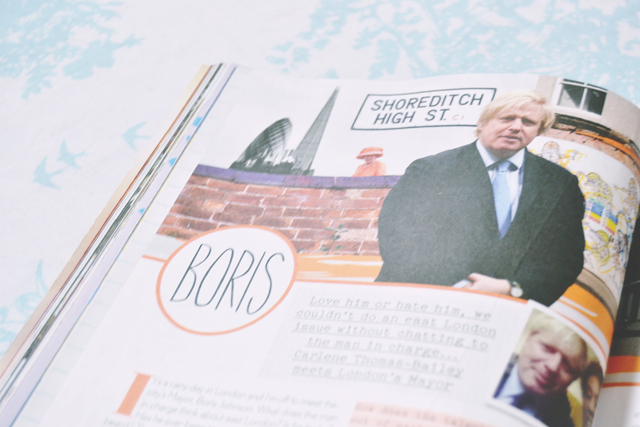 I thought the whole East London theme was a bit weird (I think I've been to London twice in my life time so most things London related go straight over my head) but I loved the bloggers feature and Zoella interview. It must be so frustrating to have all this London talk when you don't live nearby! I get Company every month and I am starting to be a bit miffed with the themes, I find it harder to relate to as I don't live in East London and I don't visit there as I live up north in Manchester! I love this post though, I think it's such a unique idea! The Paris one was the worst one, I think. I have no desire to visit Paris! Why would I read a magazine all about it? She is so pretty! It's just a shame the photography was so bad! Yeah, it is bad that you expect Company to use bad English! Haha! 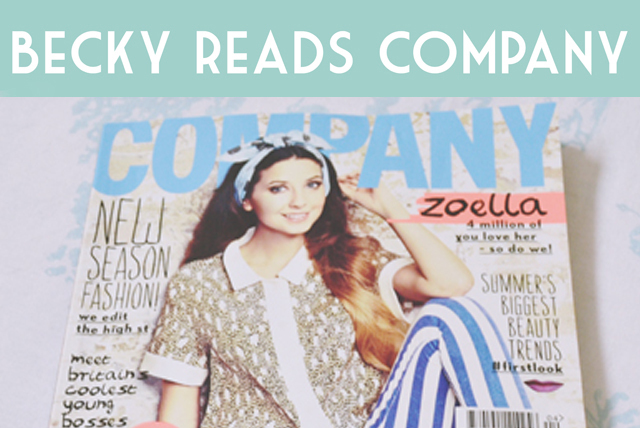 This was my first experience of Company and, aside from the Zoella article, I was a teeny bit underwhelmed. 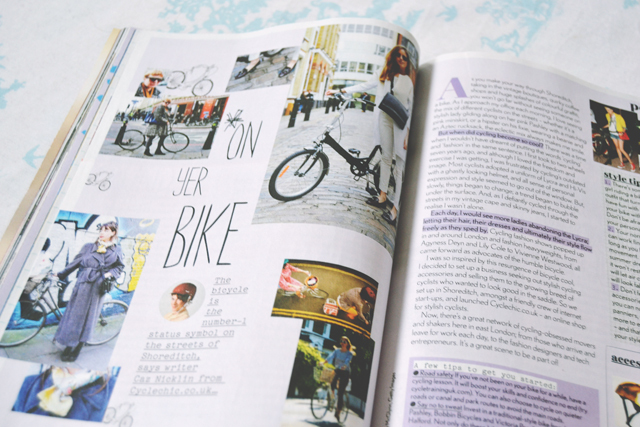 I like the feel of the magazine (it's not all glossy, so you can eat a toastie and flick through the pages easily without worrying about getting cheese fingers all over it...if that makes any sense?) but it's just not my favourite. And the spelling/grammar errors are egregious. It's generally a pretty underwhelming magazine I think, although I do love the ethos so I always hope it will live up to my expectations. The errors always annoy me so much! 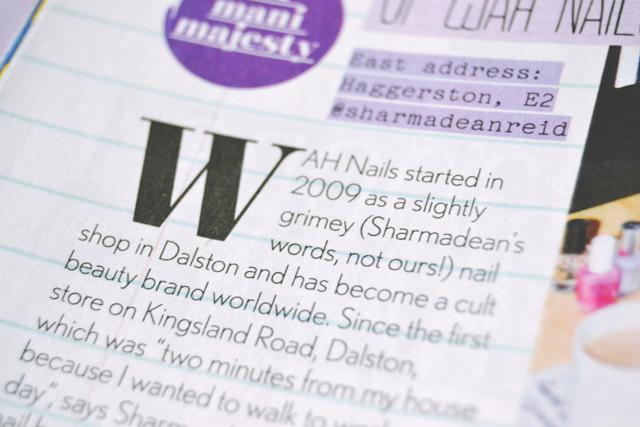 Completely missed the Topshop typo, but I'm pretty sure I remember seeing "Dr Martins" - 2 major brands in one issue? 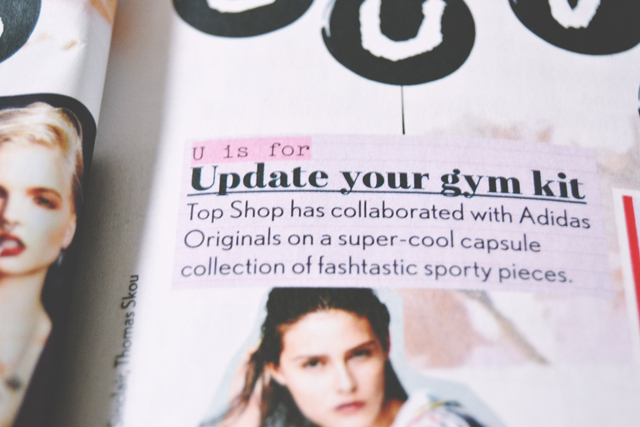 I guess it's not really a fashion magazine, but still upsets me a little. Ooh good catch! I didn't spot that one! I definitely just wanted to buy this for the top bloggers but i sort of guessed the interview wouldn't be the best part. And I agree with the person above who said that the photo shoot looks a bit too over edited - although I haven't had the chance to see it right in front of me! 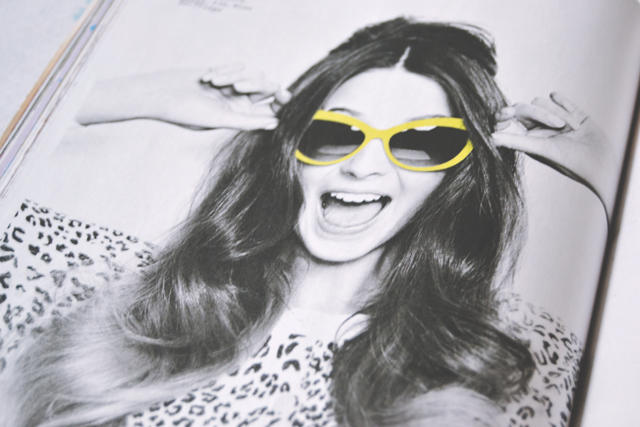 I like Company because it's easy going although it does make me roll my eyes a lot. That pretty much sums up how I feel about it too!